Create professional-looking workflow diagram on Mac OS with built-in symbols. 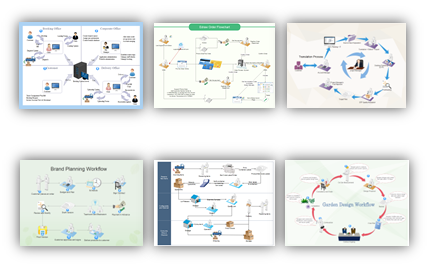 Provide a visual way for your functional, technical, or a business process to show how work gets accomplished. 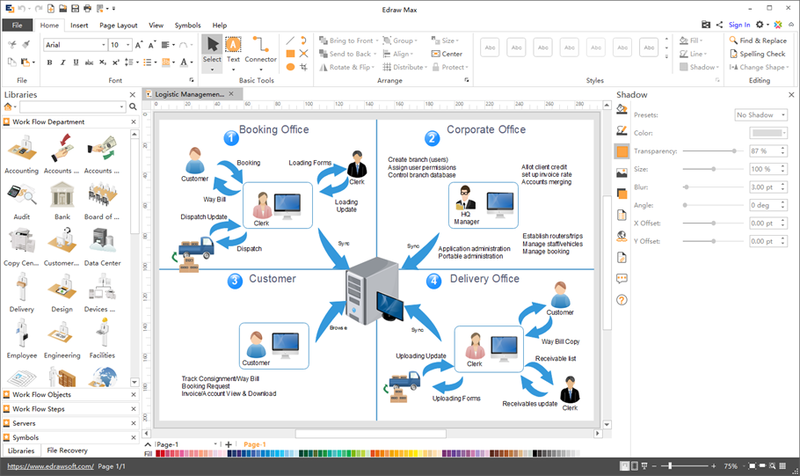 Try a great workflow diagram Visio alternative on Mac OS. It's easy-to-use, fast and cheap in price. It's a desktop program for drawing workflow which contains extensive vector workflow symbols and clip arts. With it, you can complete a complicated workflow diagram in just minutes. 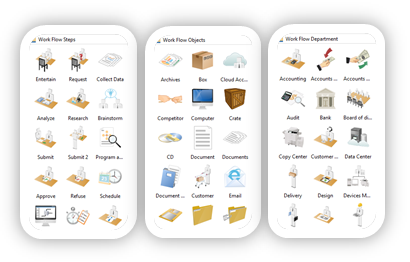 Our program offers a set of workflow symbols categorized in 3 libraries: Workflow Departments, Workflow Objects, and Workflow Steps. You can add any of them on the drawing canvas as you please and remove them by a simple click on the Delete button. The symbols can be resized or re-colored according to your personal situation. 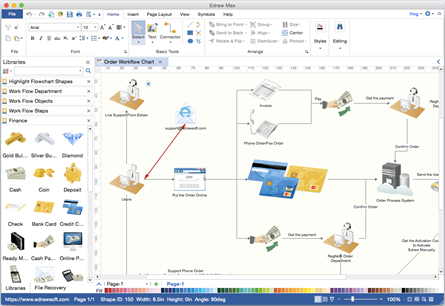 Workflow diagrams are usually full of clip arts showing vivid scenes of individual steps in a process. Whenever you open a workflow diagram drawing page, several workflow symbol libraries will show up automatically, from which you can find clip arts for departments, objects and workflow steps. Like flowchart symbols, these workflow symbols are designed with floating buttons for automatic connection of adjacent shapes, which will make your design fast and accurate in layout. Examples are probably one of the most asked-for items when people want to make their own workflow diagrams. Edraw has contributed lots of workflow examples to help users, especially new beginners, to get started. They are well-created examples based on real topics. Each example is provided with the editable format, so that you can always download and modify. Besides basic flowchart, there are also templates for BPMN, Data Flow Diagram, IDEF diagram, Work Flow Diagram, etc. Your Ultimate Mac Workflow Diagramming Software! 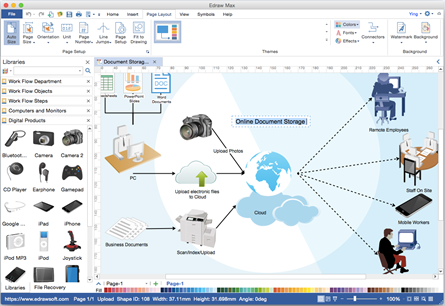 Enjoy creating Workflow Diagram on Mac with this easy-to-use software. You'll be surprised by its abundant symbols and templates, amazed by how easy it works, and satisfied with the service and price. Try it today!